As the media tells it, American-made goods are having a “moment.” But the numbers tell a different story. Survey the “Made in America” scene and you’ll find plenty of stories like Filson’s. In 2014, L.L. 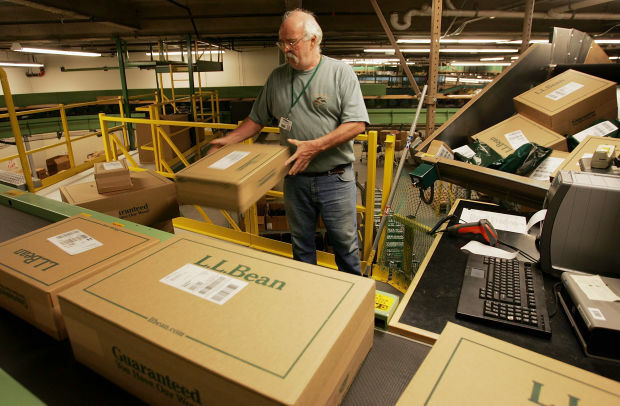 Bean expanded its manufacturing facility in Brunswick, Maine, in order to keep up with the demand for its classic “Bean” boot, which boasts a waiting list any It-bag brand would envy. Cone Denim in Greensboro, N.C., is busy supplying designers with fabric to make $350 jeans. Chicago’s Horween tannery, which supplies the leather for half of Major League Baseball’s gloves, is used on everything from the uppers of shoes to watch straps. Designers are even attempting to make knitwear in the U.S. The Elder Statesmen founder Greg Chait has built a factory in Los Angeles to weave his lofty sweaters and, last fall, Zady manufactured a sweater from start to finish in the U.S., starting with sheep’s wool sourced in northeastern Oregon, that was then spun into yarn in Pennsylvania and knitted into a crewneck in Los Angeles. What does it all add up to? A boom? No. But an uptick? Yes. “The number of clothes and shoes made in the U.S. has consistently increased over the last several years in what could be described as a small, but growing, trend,” says Nate Herman, vice president of international trade at the American Apparel and Footwear Association (AAFA), a trade group that represents over 1,000 brands and more than 340 U.S. companies. According to the AAFA, 513 million garments were produced in the U.S. in 2013, up more than 6 percent from 2012 and nearly 35 percent from 2009, when just 381 million garments were produced here. However, only 2.6 percent of all of the apparel items sold in the U.S. in 2013 were made here. When you consider how much was being manufactured in the U.S. 22 years ago, it’s hard to get excited. In 1993, 6.4 billion garments were manufactured in the U.S., with 52.4 percent of the garments sold here made here. How did we get from 52.4 percent to 2.6 percent in just 22 years? We have to look back a little further. In the ’60s, 95 percent of the clothes Americans bought were made in the U.S. But as China and other low-wage countries developed cheap manufacturing, those numbers steadily declined. NAFTA — the North American Free Trade Agreement, which made it cheaper to buy and sell things between Mexico, the U.S. and Canada — was implemented in 1994. By that time, it made little financial sense for a mass retailer to produce clothes in the States. The AAFA has yet to release its 2014 numbers, although Herman believes the pattern upward will continue. “U.S. production can be an advantage because companies are closer to the customer and can more quickly respond to their needs,” he says, referencing the quicker turnaround times that local production affords. The challenges, of course, are many. “It can be more difficult to find specialized materials or labor needed,” Herman adds. Indeed, finding skilled workers is a constant challenge for manufacturers like Filson. “Sewing is a still a lost art,” says Madden. The company relies heavily on references from current workers to find new ones, who receive nine months of on-the-job training. “It’s not hard to attract them because we pay a rewarding living wage. But it is hard to [initially] find them.” Filson and co. might look south to American Apparel, where 180 workers were laid off in April. Given that so little of what we buy is currently made in the U.S., brands may find that shoppers making the concerted effort to purchase domestically manufactured goods will continue to do so no matter the cost. A year ago, Fashionista reported that Americans were buying fewer items of clothing, but spending more on the things they did buy. If that trend continues, maybe “Made in America” will, too. One Response to Is Made In America More Than Just Hype?